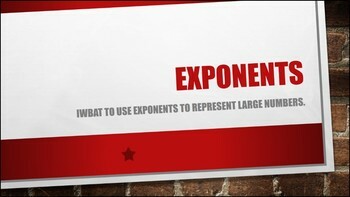 A great tool for introducing exponents. 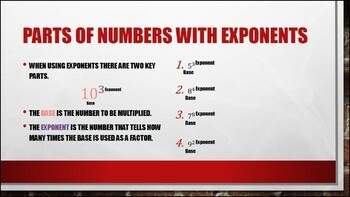 Includes descriptions of base, exponent, standard, exponential notation and expanded forms. Has sample problems. Great visual.